I tried to get "Spyder" logo on my leather center console. No can do. Seems the custom and exclusive only goes so far. Would think "Cayman GTS" in red letters on the center console of the "Cayman GTS" might be a nice matching touch (see Eduardo's picture). PTS should be a "no brainer" on the Cayman GTS. Eduardo, section 5 is probably the "next step" in your continuing education on everything "exclusive." I'm sure you have more tales you can tell! Welcome to the peculiar world of Porsche options. We are in a league of our own. On our super special & expensive Boxster Spyders for MY2011 & 2012, we were limited to 7 exterior colors while the 'lesser' Boxsters had double that number of choices! If you dig deeper into the how PAG operates, you begin to understand their seemingly bizarre logic. It usually has to do with the special panels for a particular model (e.g. the unique rear humps for the Spyder or the unique front bumper for the 981 Cayman/Boxster GTS) that are supplied by an outside vendor and are painted 'in situ'. So PAG tries to simplify the process and not complicate matters too much for themselves or their suppliers. You have to be around a while to realize how sensitive PAG is to warranty issues like if customer complains that their PTS colored bumper on their vehicle doesn't match the rest of the car. This makes a company like Porsche less incline to allow PTS on certain models unless they can control the paint process totally (usually in-house). Section 5? Can you explain what you are talking about? 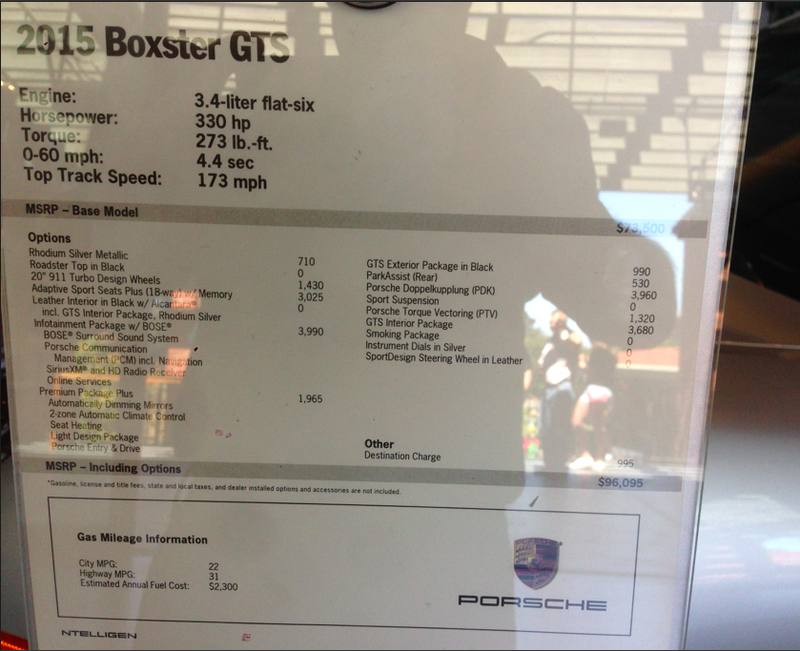 Only the .1 and .2 997 gt3 RS models had the colored band at 12 o'clock ('yellow' on the 3.6 & 3.8, 'red' on the 4.0 LE). The regular .1 & .2 997 gt3's didn't come with the band. And neither does the current 991 gt3! If you want a steering wheel with a band for your Cayman GTS, you'll have to buy a .2 997 RS sport design wheel 'after-sale' via Suncoast or your dealer. Of the Porsche models I follow, the only ones expected with a colored band on their steering wheel from factory will be the upcoming MY2015 991 gt3 RS and the 918 Spyder. 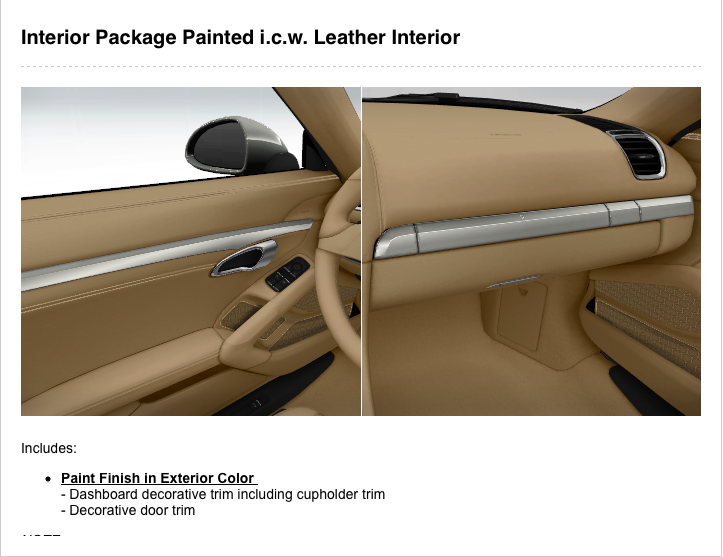 "The standout player 'brown/tan' color from the Cayenne interior selections was 'Espresso/Cognac'. Due to demand for that combo, PAG & 'Porsche Exclusive' eventually decided to offer that two tone combination on the 991 too. 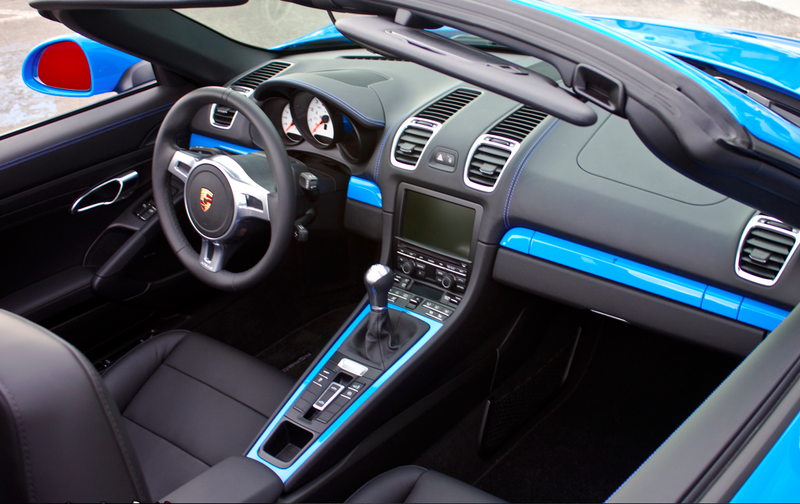 It is currently one of the most striking & notable leather interiors available on a Porsche! " Was the Espresso/Cognac combo ever available on 981's ? I saw Carrera, Boxster, & Cayman on back of the sample panel at local dealership but salesman does not remember seeing it on the configurator. Maybe only thru 'Porsche Exclusive' ? Also can you comment on how PTS for a previously available color might affect build time. I am thinking about Amaranth Red on a 2015 Cayman S.
Not to my knowledge. If anyone is interested in that two tone combination for a 981, they need to inquire with 'Porsche Exclusive' & see what they say! I don't know. It's not yet on the approved list (as of Jan. 2014), so no one has yet asked for it. We also don't yet know if Cayman PTS at Osnabrück (assume that is their plan) will work more efficiently than 991/981 PTS at Zuffenhausen. The PTS seems to be done in batches & usually delays the expected delivery times by months. That is even when color has been already tested & approved! If the PTS color requested is not yet approved, it takes even longer since it has to be tested on exterior materials for fade & coverage! You would think that a color like 'Amaranth', which was already used on the model, would take no time to approve. But you never know for sure until you start the ordering process! If I order a Cayman GTS with GTS Interior Package in Carmine Red, will Exclusive interior options Extended Interior Package, Door Panel in Leather/Alcantara®, Extended Interior Package, Dashboard Trim in Leather, Steering Column Casing in Leather, and Sport Seats Plus Backrest Shells in Leather inherit the red stitching present in the rest of the GTS interior? I've read a few times now that Z-options aren't available on the GTS, so I can't address the thread color that way, but Porsche Exclusive has not replied to my email to confirm that or answer this question. Thank you for any knowledge. If I order a Cayman GTS with GTS Interior Package in Carmine Red, will Exclusive interior options Extended Interior Package, Door Panel in Leather/Alcantara®, Extended Interior Package, Dashboard Trim in Leather, Steering Column Casing in Leather, and Sport Seats Plus Backrest Shells in Leather inherit the red stitching present in the rest of the GTS interior? Yes, I think it will be done in the same deviating stitching. But its always best to contact 'Porsche Exclusive' directly to confirm. 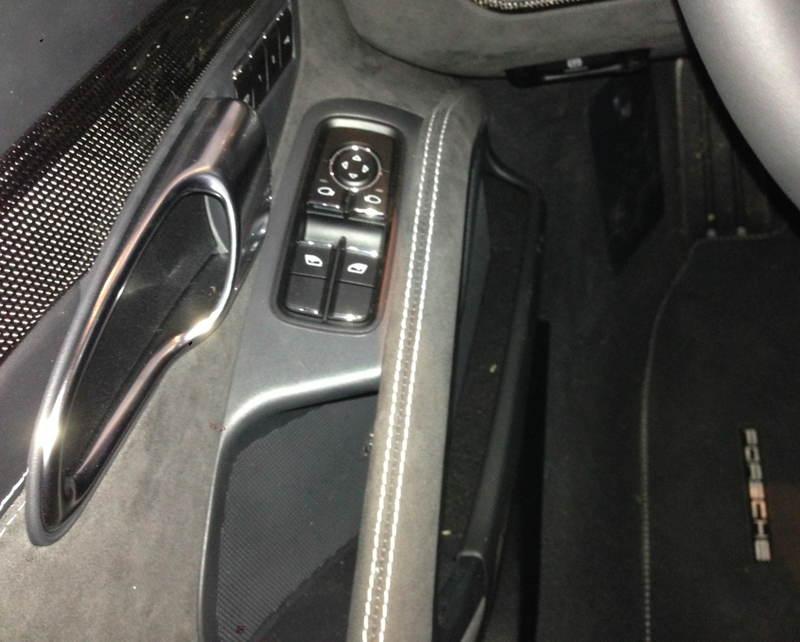 Hope attached photos of gts interior with corresponding option list & cost will help you understand. 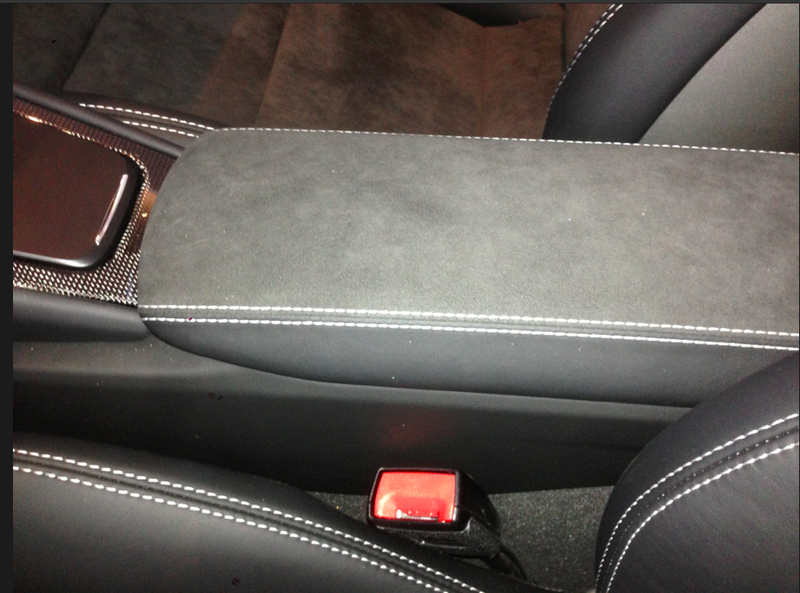 In the case of adding options such as steering column casing in leather (which this particular car did not have) PAG might charge a small additional fee to your standard $465 cost for that option to do it in 'Carmine Red' stitching. 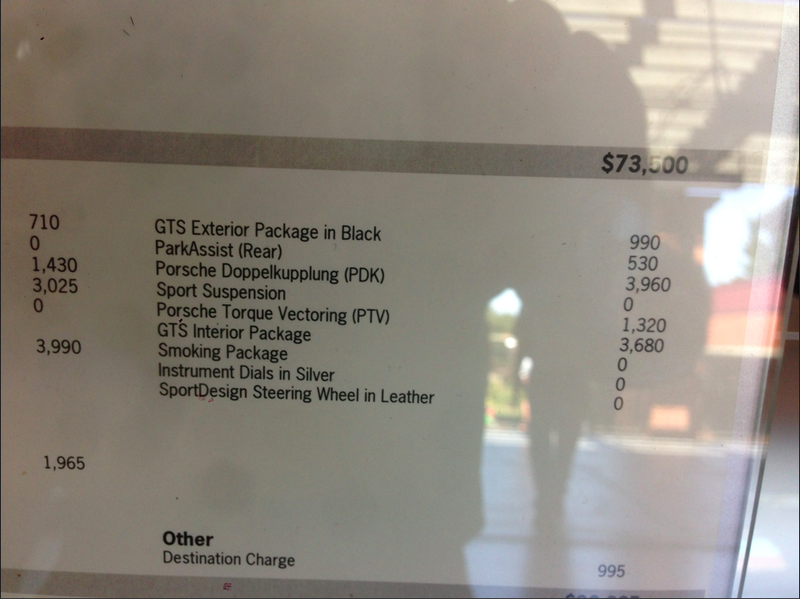 But I am not even sure that would apply in the case of the GTS if you elect to pay for 088 (gts interior pkg/$3680 in Carmine). They might NOT charge you anything extra - just the $465 for the option and do it in 'Carmine Red' stitching! But you need to double check! Thanks. I managed to get everything buttoned up and place the deposit on the build on Monday. 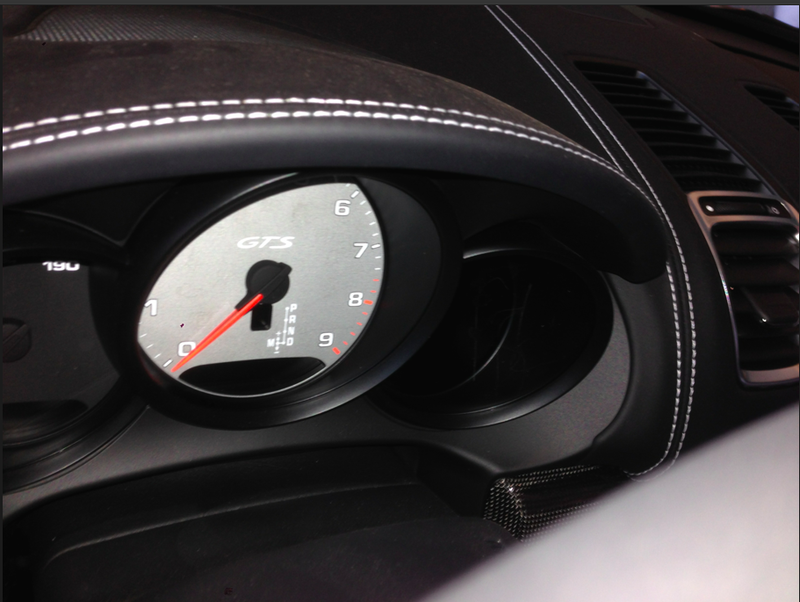 With the GTS interior package, all the options I mentioned will indeed come with Carmine Red stitching. 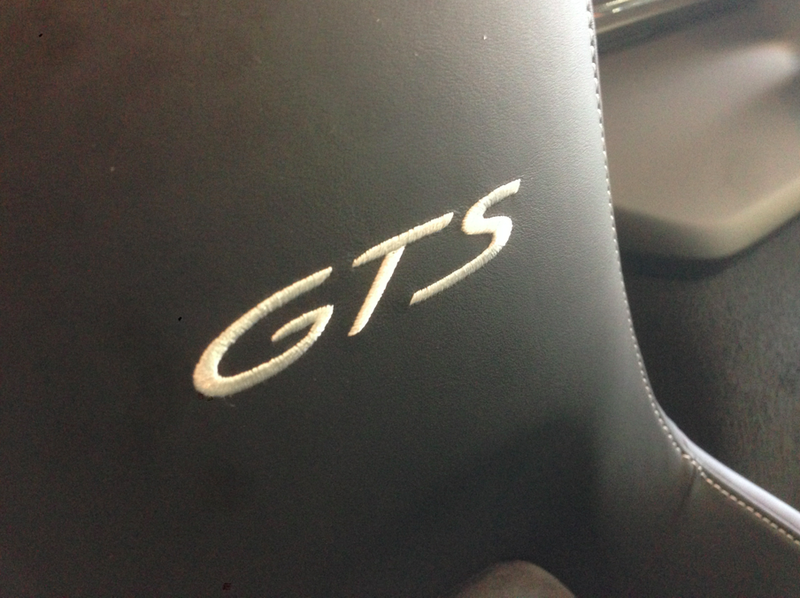 So tell us: If you ordered the GTS Interior Package with Carmine Red deviating stitching, do they charge you extra for deviating stitching in the same color for options such as 'steering column casing in leather'? Give us at the Rennlist forum more information on how the ordering process went and what you ended up with in the end, etc. Thanks. 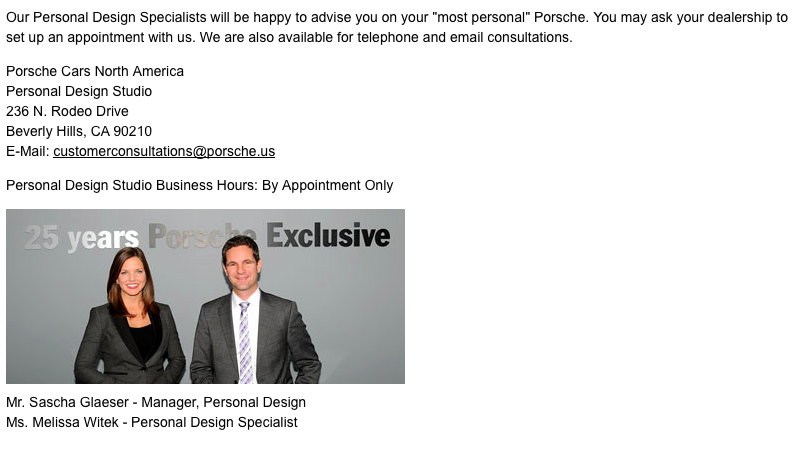 Personnel Changes at PCNA's 'Porsche Exclusive' in US! The 'Porsche Exclusive' team in the US is changing. Sascha Glaeser, its current manager, has been promoted to oversee the 'Porsche Experience Centers' that are currently being built at Atlanta and Los Angeles. Melissa Witek continues at 'Porsche Exclusive' back East but has been tasked also with '918 Spyder Client Relationship' since the departure of Daniel Eastman last Spring. Thus, PCNA has recently promoted Matthew Henry (who was a product planner based at PCNA Atlanta since 2013) to be a 'Personal Design Specialist' and he will be transferred to the 'Porsche Exclusive' office on Rodeo Drive in Beverly Hills, CA next month! That was the CA office of Sascha Glaeser for the past few years. Matthew is a speed enthusiast with a motorcycle racing background. He is young and appears energetic, so hopefully he'll be able to come up to speed re: 'Porsche Exclusive' in a relative short period of time. No decision yet as to who will become manager of this operation after Sascha leaves to devote his full time to the 'Porsche Experience Centers', although it might be someone they transfer from 'Porsche Exclusive' in Germany. Sascha, Melissa and Matthew at 'Porsche Exclusive' in the US can be reached by emailing them at: <[email protected]>. Sorry I couldn't get to your PM and your question before now. Are you are referring to the US configurator where if you choose a Boxster or Cayman in PTS and the 'Porsche Exclusive' option described as 'Interior Package Painted i.c.w. 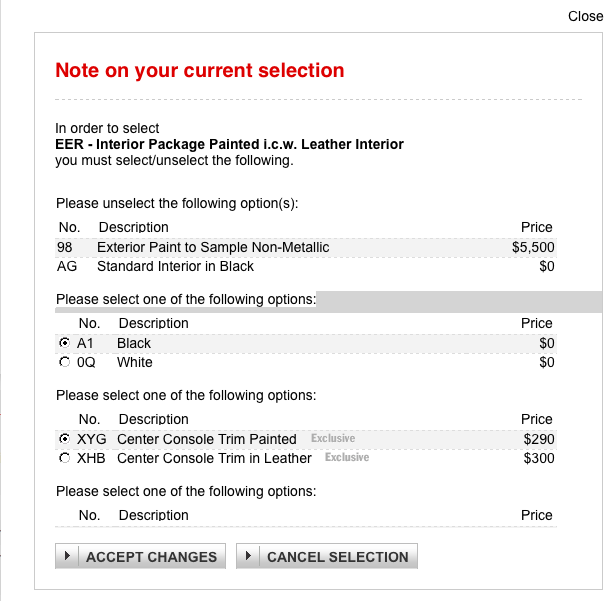 Leather Interior' for $595 (Option Code EER), the following screen appears? seems like there is only one answer "no, can't be done"
If you are talking about the first attached photo, the color is 'Viper Green' on this 911 Turbo S Cabrio and it has 'full' EER. The 'Birch Green' 991 S Cabriolet I photographed at the factory in 2013 (second photo) has 'partial' EER. It seems that the 'Porsche Exclusive' initially had an issue with the supplier of the door trim and was not able to get just that piece painted in a PTS color. It might be the supplier didn't have then the capability to paint in PTS colors, just in the standard ones! 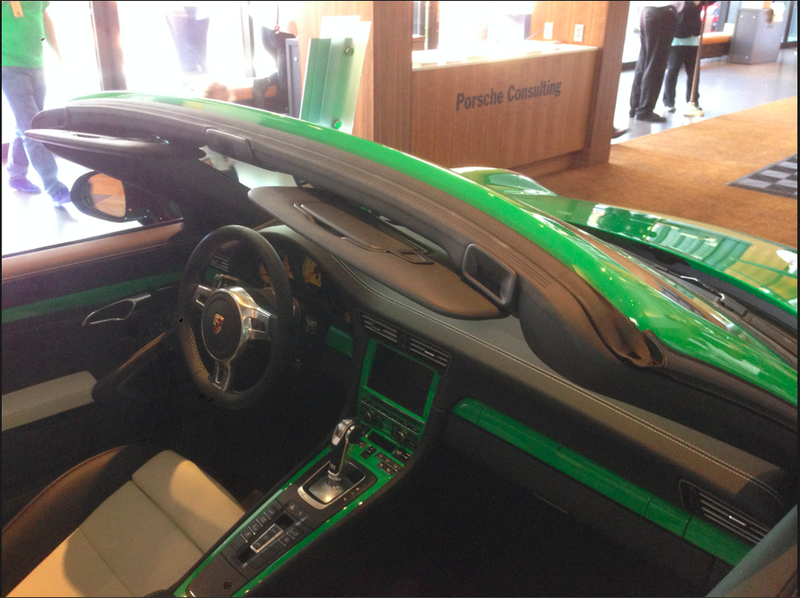 That is perhaps why the 'Birch Green' Carrera S Cabriolet didn't get the trim on its door painted 'Birch Green'. However, note that everything else that makes up EER was correctly painted in the PTS color on that vehicle. We saw that problem too (partial EER) with the first 981 Boxsters in PTS 'Riviera' and 'Mexico' that were reported in this forum! For example, Rahal's 'Riviera Blue' (photo 3 & 4) and slc's 'Mexico Blue' (photo 5) Boxsters. However, PCNA's West Coast 'Porsche Exclusive' demo ordered by Sascha Glaeser (the 'Viper Green' 911 Turbo S Cab) comes with full EER in a PTS color. As you can see, the door trim is painted 'Viper Green'. So we know full EER can be presently done via 'Porsche Exclusive'. Moral of this story: Do not assume everything you see in the Configurator is 'correct'. We know that sometimes the configurator is not the last word on what can, or can not, be done. 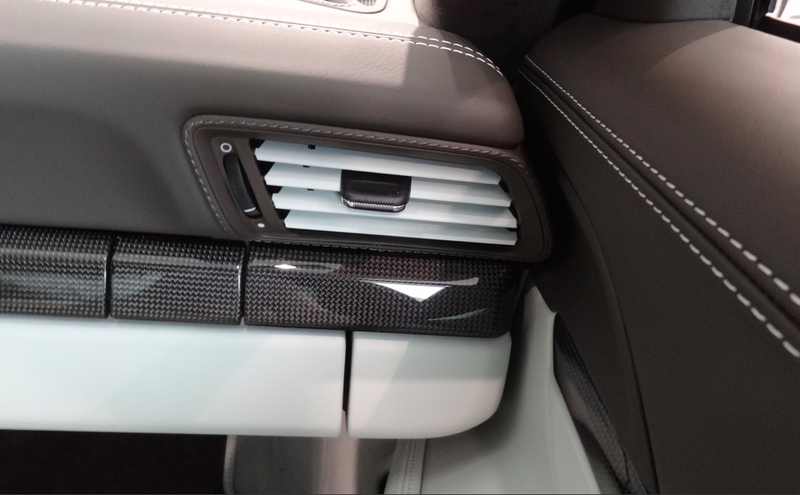 Always check first with the representatives of 'Porsche Exclusive' to see if an option that you want in your custom order can be done, regardless what you see in the PCNA's configurator! Finally, a personal note. 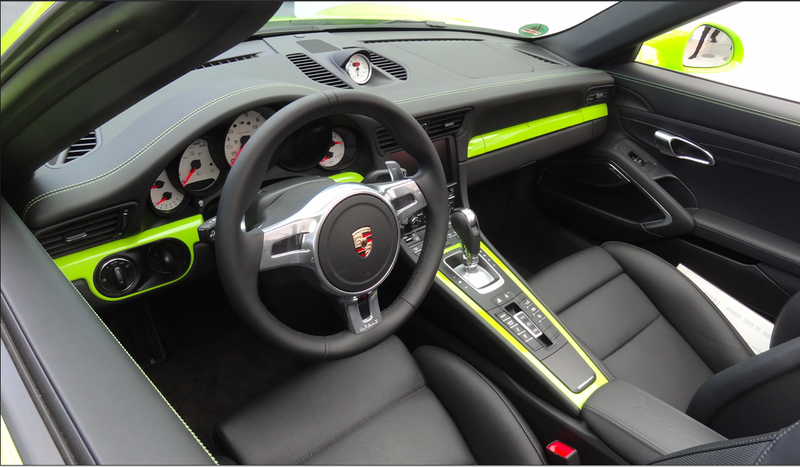 I find the trim of the 991/981 models too wide to handle gracefully the exterior colors, especially 'bright/loud' hues. 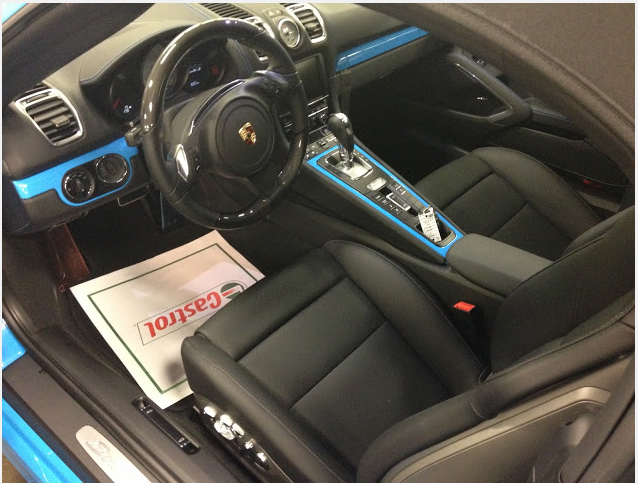 In contrast, the 997/987 interior trim was the perfect width for adding color to your interior tastefully! In contrast, I remain a big fan of 'vent slats painted', especially in a 991. That is just a very attractive, albeit expensive, option (last photo #6) which adds the exterior color to your cabin but in a very elegant & subtle way! My dos centavos for what it's worth! Wow! I love that blue with blue stitching... Wow. Amazing. 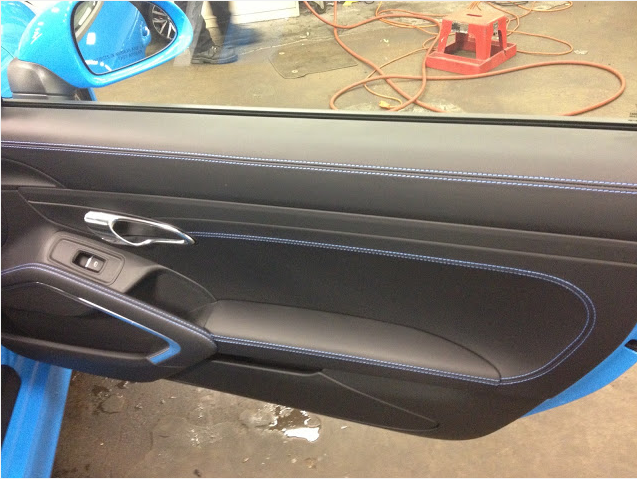 Sadly, that deviating stitching color (which might have been called 'Aqua Blue') is not longer offered by Porsche. I was informed of this last Wednesday by Melissa Witek of 'Porsche Exclusive' at the 918 road show at Sonoma Raceway! Garnet Red is now added and 'Carrera Red' might be dropped. Umber is probably gone now that the 'Umber' leather interior is no longer offered. Aqua is now gone per Melissa and so is 'Peridot' according to Rennlister JUPJAI. Peridot is a yellowish/green color found on a special edition Cayenne gts...but which could have gone well with 'RS Green', 'Signal Green', 'Viper Green', 'Birch Green / Light Green', etc. So now nothing close to 'green' is available as a deviating stitching! And only the pale 'Yachting Blue' is available as a 'Blue'. The deviating stitching pickings are getting slimmer! I made a point to both Melissa and new hire Matthew Henry that we need a 'green' and deep 'blue' from 'Porsche Exclusive' to go with their extremely popular PTS blues - Riviera, Mexico, Voodoo, etc - and increasingly popular PTS greens listed above! Good moral to the story! Yes, I'm talking about the Viper Green "demo." Clearly shows it can be done, should be allowed on the configurator. Regarding my dos centavos, agree with you that the new interior doesn't lend itself to painting interior bits as well as 987/997 models. While the door trim and dashboard may seem too wide, the center console trim is very thin (personally I think it looks odd painted any color). And you know I'm not a big fan of loud colors like yellow! I'm looking for a subtle contrast. But it would be nice (after all of the education that you have provided to members on this forum), if the Porsche configurator would more closely resemble reality. I guess I can always write a letter to my friends at PCNA asking for them to "approve" my desired configuration. For now I'll enjoy my Spyder and keep racking up the miles on the Cayman, now over 103,000 miles (likely the highest mileage PDK in the country). Still sad that we missed the thousands of miles on the trip to visit your beautiful home! I am tempted by the wail of the PTS siren, gotta be a new Cayman (perhaps Viper Green?)! If you are talking about the first attached photo, the color is 'Viper Green' on this 911 Turbo S Cabrio and it has 'full' EER. Finally, a personal note. I find the trim of the 991/981 models too wide to handle gracefully the exterior colors, especially 'bright/loud' hues. 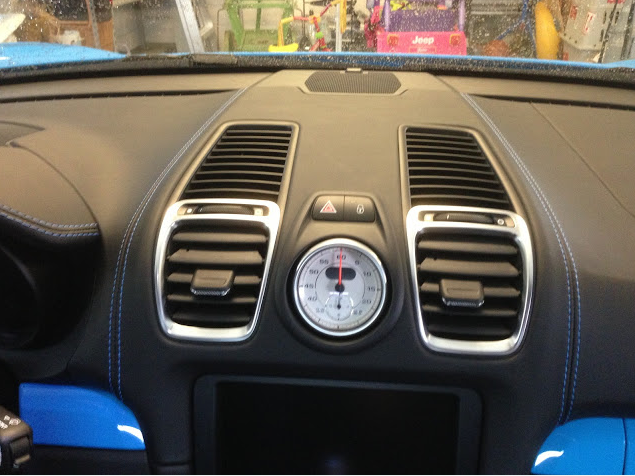 In contrast, the 997/987 interior trim was the perfect width for adding color to your interior tastefully! In contrast, I remain a big fan of 'vent slats painted', especially in a 991. My dos centavos for what it's worth!